Turfcare Landscaping was founded in Sandpoint, Idaho in 2003 by Steve and Sue Graue. Steve has over 25 years of experience building beautiful gardens in the Pacific Northwest. With his strong background in forestry and horticulture, deep understanding of how good landscaping works and creative design ideas, Steve is the driving force behind every amazing project. Our company has been built on the principles of excellence in customer service, quality workmanship and mentoring the employee to be the best in the industry. 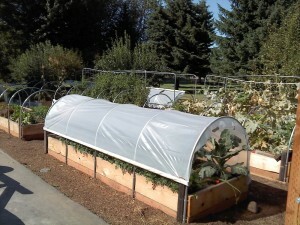 Turfcare Landscape Design and Construction is a DBA (doing business as) of Country Gardens and Greenhouses, LLC in Dover, Idaho. Our State of Idaho Contractor Registration Number is RCE-1695. Our State of Idaho Nurseryman license number is 6753. Our Backflow Assembly Tester Certificate number is BAT-16128. Our workman’s compensation is provided by the Idaho State Insurance Fund. Our General Liability policy is for $2,000,000. Our company is committed to providing the best value to our customers by way of: building lasting relationships, giving unmatched service, and demonstrating top quality craftsmanship. Our goal is to continually strive for excellence in the fields of landscaping, lawn maintenance, and customer service. Our Business has grown based on our reputation. References are always available upon request. From large-scale projects to everyday upkeep, we offer complete solutions to make the environment around your home look its best.